FleishmanHillard had a tough 2014, although the agency did manage to build on global profit margins with a 1.5 per cent increase on the previous year. Saunders attributes this to a number of changes in personnel at the top. He explains: "We’ve had a very settled team for a long time and we’ve had a number of changes in places like Germany, which was unusual for us." The UK also lost its managing director after Richard Kanareck resigned in November last year. 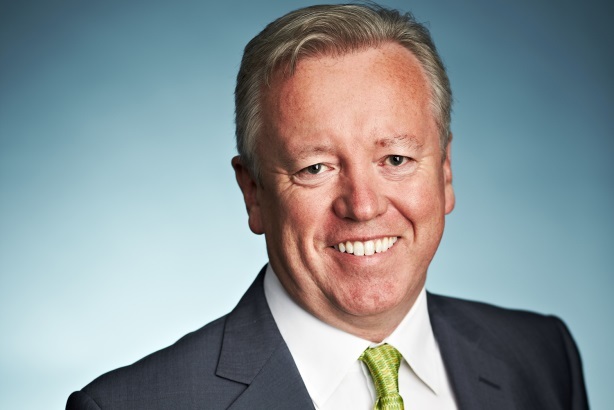 The agency lined up Weber Shandwick’s Jim Donaldson as Kanareck’s replacement later that same month, in a move that Saunders describes as "a very big coup". Donaldson was not able to start in the role until January this year, but Saunders is convinced the agency is now back on track: "We have re-galvanised and come out in 2015 better than ever." Recruitment continues to be a major priority for the firm and Saunders says the agency has inves­ted largely in its talent development team. Its key hires for 2014 include Edelman’s Sandrine Corm­ary as SVP and managing director in Paris, Mickie French as SVP and partner, managing director in Singapore and Junia Sa as managing director of the new Sao Paulo office. The firm also lost three senior staff, including SVP, senior partner and global lead, strategic integration John McNeel; EVP, senior partner Nancy Seliger and EVP, senior partner David Wickenden. The agency reports that it is seeing the benefits of being part of its parent company, Omnicom, more than ever before. Saunders says that often the big clients will go through the holding company to find a suitable agency. EMEA director Harald Simons highlights data storage company Seagate and the World Health Organization as two big account wins for the EMEA region. Saunders adds that the agency scored a big global account win with software company SAP. Fleishman has lost a couple of big UK accounts, which Saunders admits have been "well documented". He is referring particularly to Emirates, after the airline ended its two-year relationship with the agency and appointed The Red Consultancy. FleishmanHillard also lost its account with TKMaxx, although it will continue to work with the brand until mid-2015. The agency expanded its global presence with five new offices in 2014: in the Netherlands and Germany as well as two new US offices and one in Sao Paulo, Brazil, which opened in October 2014. Fleishman reported that US operations showed the strongest growth, as well as good performan­ces within EMEA from Milan, the Middle East, Dublin, Johannesburg and Prague. In terms of mergers and acquisitions, the firm bought DDC Advocacy, a Washington DC-based public affairs agency, through a deal with Omnicom’s DAS group of companies. It also merged the operations of UK-based content marketing agency Specialist into FleishmanHillard and began operating and managing Freshwire, a US-based digital content studio. Fleishman would not disclose any current M&A negotiations, but it confirmed it was "active" and looking for opportunities in markets such as India. It also sold back its majority share of Stratacomm in the US, as well as its Bernard Hodes London operations. One of the biggest challenges facing the industry, which Saunders says is a priority for the company, is the need to respond to a crisis more quickly than ever in the age of social media: "A year or two ago, for an organisation to be able to react within an hour or two was brilliant. Now it’s seconds and minutes when a story is out there because of people tweeting. Our ability to monitor what’s going on and to react really fast has changed very dramatically." Looking to the year ahead, Saunders says it will be a big year for the Dublin office, which he describes as "a cornerstone of the operation in EMEA" as it celebrates 25 years. Simons says the agency will continue to invest in digital with a strong focus on research and analytics. And while the agency will evolve and adapt, it remains committed to the public affairs and healthcare sectors, Saunders adds: "Some things are perennial and those things won’t change."